The star of “Argo” and “Dallas Buyer’s Club”, Ben Affleck, was recently spotted taking in the sights and sounds at the Disneyland California Adventure Park. Celebrating his oldest daughter Violet’s eighth birthday, the actor was seen enjoying the west coast sunshine with Violet and younger sister Seraphina in tow. Affleck was photographed on the bumper cars where he and Seraphina jostled around the track. With four-year-old Seraphina steering the car, they spent their time weaving through the other bumper cars in an attempt to catch up with big sister Violet. Once caught, Seraphina happily plowed into her sister’s car, obviously unconcerned with showing mercy on the birthday girl’s special day. The trio seemed to be enjoying their day together as a Disneyland representative escorted them around the park, helping them to avoid the long lines at each ride. Missing from the joyous venture was Violet’s mother Jennifer Garner. Speculation circulated that the actress was at home with baby brother Samuel who is currently 18 months old. Perhaps planning a special birthday dinner or surprise for when the rest of the family returns home. It is believed Affleck was enjoying a little father-daughter bonding time with his little girls before he heads back to work. He will soon begin filming the eighth Batman installment, Batman vs. Superman. The majority of the filming is scheduled to begin on the film in 2014 and is planned for a July 15, 2015 release. Affleck, 41, was showing no signs of nerves or concern about the upcoming production, despite the uproar over his selection as the lead role in the popular film series. Chances are with so many unique roles and successful movies under his belt, as an actor and a director, he feels confident enough in his abilities to keep it all in perspective. Either way, the last thing on his mind on this bright day were movies and celebrity as he was obviously spending the day in his favorite role; dad. All witnesses to the happy trio stated they seemed to be thoroughly enjoying their day out together. The girls spent as much time as possible riding the many rides, while a peaceful and contented dad looked on. 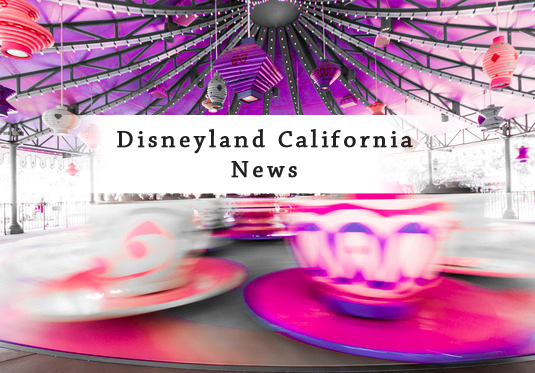 ← Disneyland News – Marky Mark and the Festive Bunch!